The GB Pockit Plus was a great stroller that quickly became a bestseller, but the manufacturer decided to renew its product. Is it even better than before? I was extremely curious and excited about the upgrades. Here it is! The GP Pockit Plus has finally arrived to the stores. Although the Pockit has already been a great stroller, the new version presented in Las Vegas during the ABC Kids Expo in October 2017 promises to be even better than the original bestseller. Let’s see if the brand actually managed to improve one of the most popular lightweight strollers. 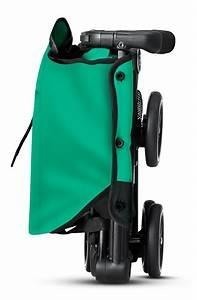 Lightweight stroller 12.5” x 7.8” x 14.9” Super lightweight, extremely compact when folded, may be used from day one. The first version of the Pockit was a really good lightweight stroller, appreciated by parents who oftern travel with their little ones. Still, even though it was highly popular, there were some things that needed an improvement. The Pockit was indeed a really lightweight stroller, very compact after folding, fitting the overhead compartment on airplanes), but the seat wasn’t really comfortable. The sunshade also just wasn’t good enough. The good news is that the brand listened closely to the parents who pointed out that a good stroller needs to be something more than just a mean of transport for the kid to get him from point A to point B. Both the toddler and the parent deserve some comfort during the ride. The parents were unanimous about that and that made the manufacturer come up with the new, improved GB Pockit Plus. Let’s see what has changed in the new model and what are the features of the GB Pockit Plus! The original Pockit’s backrest lacked recline and that was something many parents (and kids, in the first place) wanted to see in the stroller. The new GB Pockit Plus has a new, upgraded seat, which is much more comfortable than before. There were also complaints about the fabric used in the original Pockit. The GB Pockit Plus has a really nice, soft and comfortable neoprene fabric that was upgraded. The original GB Pockit really lacked the recline and that was something many parents complained about. This is one of the most important, positive changes in the GB Pockit Plus, as it has a multi-position recline. 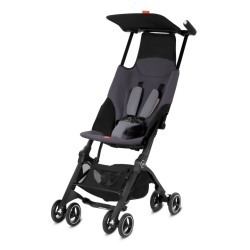 Even though it doesn’t provide a fully flat position, it goes down low enough to give your toddler a possibility of taking a comfy nap while you’re strolling. If you want to lower the backrest of the GB Pockit Plus, you need to pull a strap. There’s also an extra zipper on the backrest’s top, allowing to recline it a little lower. We could see that the canopy was completely redesigned when the manufacturer presented the new GB Pockit Plus at the ABC Kids Expo 2017. GB planned to keep the small shade at first, but luckily the sunshade also was improved. The upgraded GB Pockit Plus comes with a bigger canopy, providing better protection from wind, rain and sun. I have to say it’s not a huge one one, but this stroller is a lightweight one and for such, it’s just fine. The canopy is without a doubt much bigger than the one in the original Pockit that didn’t provide any actual shade. The new canopy provides some decent protection for the kid. It has a rounded shape and it is made with UPF50+ fabric, protecting the toddler from sun rays. One more thing that got a significant upgrade. The seat of the GB Pockit Plus is deeper and wider and that’s really good because the stroller will serve you and your kid longer, being able to accommodate a bigger, older toddler. While searching for other parents opinions abouy the original GB Pockit, I was quite surprised to found out that some of them use it for kids up to 6 years. As the seat of the GB Pockit Plus got improved, it will surely provide much more comfort for the little passenger as he grows up. 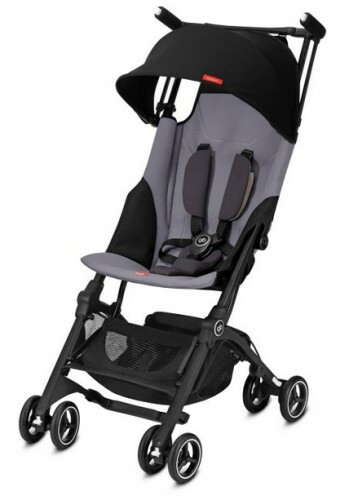 GB Pockit Plus is one of the lightest strollers, but it’s not its only advantage. You can fit it anywhere after folding. In addition, the GB Pockit Plus may be turned into a travel system, suitable from day one. 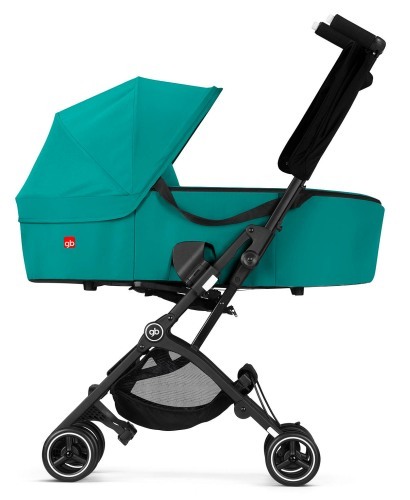 You can also use an additional carrycot, which you can attach to the stroller’s frame. I have recently checked prices on Amazon and this stroller was -25% OFF. You can check if the discount still applies by clicking here. The original GB Pockit was suitable for 6 months and up, when the toddler can sit straight up on its own, so it wasn’t suitable for a newborn. The improved GB Pockit Plus now gives the parents two possibilities of making it suitable from day one. The new GB Pockit Plus is now compatible with Cybex and GB baby car seats. Attaching the baby car seat to the frame requires using an adapter, which is sold seperately. 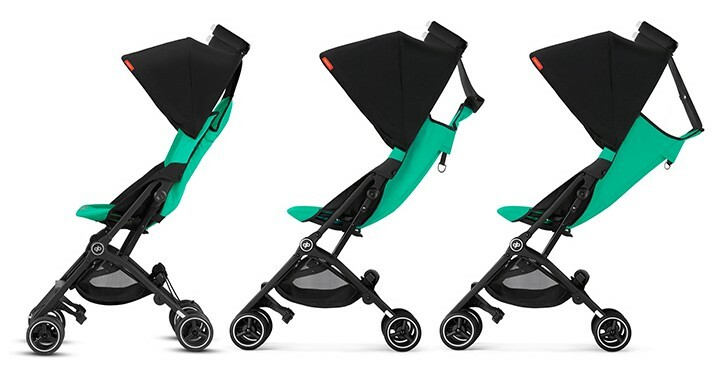 The GB Pockit Plus may be turned into a travel system, suitable from day one. Hence, this stroller may be the only one any parent will need for his child if a lightweight, compact stroller suits his needs. 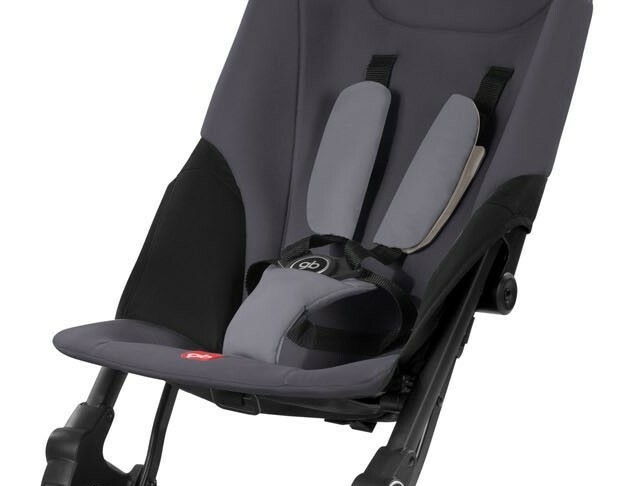 The GB or Cybex baby car seat needed to transform the GP Pockit Plus into a travel system suitable for a newborn are of course sold separately. This is the second option to make the GB Pockit Plus suitable for a newborn. 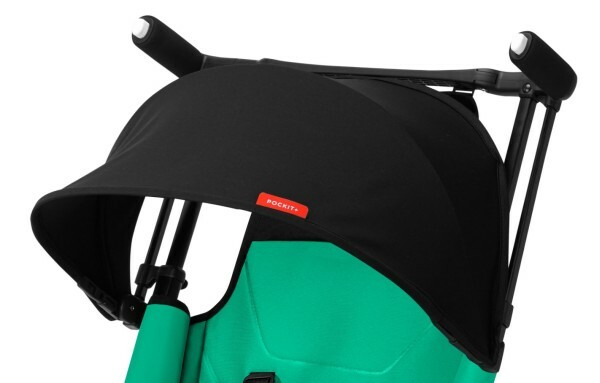 The Cot To Go is actually a carrycot you can attach to the stroller’s frame. This accessory is also sold seperately. You can check its price here. The Cot To Go is a great solution for parents who want to take their newborn along for a travel. It’s worth mentioning that the carrycot is really light at 9.7 lbs. The Cot To Go can accomodate a baby from day one until about 6 months as the weight limit is set at 19.8 lbs. The carrycot provides a fully flat position to support the fragile back of the infant. The mattress is made with nice foam which has a soft padding. The canopy is pretty big, providing the little one good protection from wind and sun. The Cot To Go has another fantastic features all the travelling parents will surely love. It may be easily folded into a highly compact package that any mom or dad can put into the car trunk or the overhead compartment on a plane. Same as with the stroller, folding and opening takes merely seconds! The Cot To Go is compatible both with GB Pockit Plus and GB Qbit Plus. As you have probably already noticed, the new version comes with signigicant upgrades, so you may be wondering if they have impacted the stroller’s weight and size. The new GB Pockit Plus is indeed heavier and bigger than the previous version due to the new features. The stroller now weighs 13 lbs (the original Pockit weights 9.5) so the difference is quite significant. The fact that the GB Pockit Plus is heavier is no surprise. It just needs to be solid and strong so you could attach a baby car seat. Still, this stroller remains extra light, so carrying it around won’t give you a backache. On the opposite, these few more pounds may help you with being a fit mom. Let’s get to the size now. It has also changed, but here the change is minor. While opened, the GB Pockit Plus is 0.5’’ higher and 1’’ wider than the previous version. This is a good change, because the stroller is now more comfy for the little passenger. Time for the most important numbers – folding size. The manufacturer did a great job here, I must admit. The size hasn’t almost changed even though the stroller got some extra features. 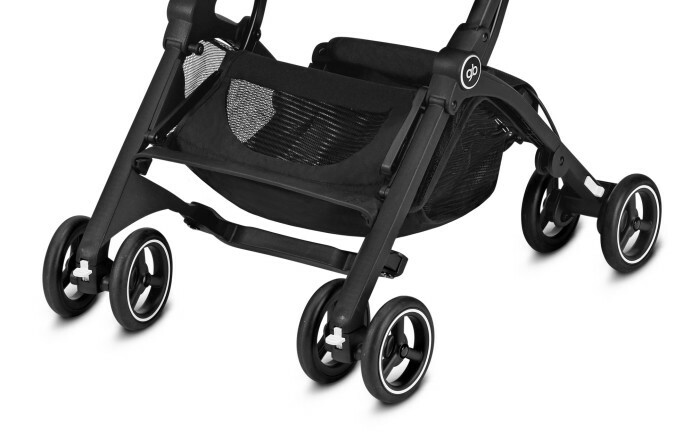 The GB Pockit Plus remains the king among small strollers! It is 12.5” x 7.8” x 14.9” when folded (the original was 11.8” x 7.1” x 13.8”). It’s a tiny change and the GB Pockit Plus folds into a tiny package you can put almost everywhere. Interested in purchasing GB Pockit Plus? Check how much it costs on Amazon and see if there are any discounts available. The mechanism remained the same we’ve seen in the original Pockit. 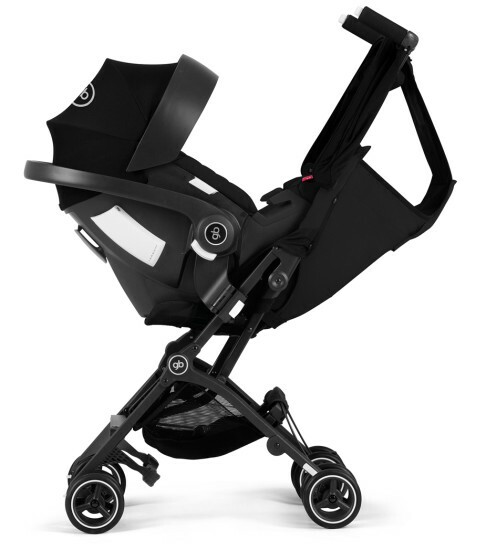 The GB Pockit Plus also has an automatic lock, so the stroller won’t open by accident while you carry it or during transportation. When folded, the GB Pockit Plus stands on its own. I just have to add a few more words about the GB Pockit Plus size when folded. I was simply stunned when I saw the folding process and the effect. It’s a perfect choice if you live in a small flat or have a small car. It’s literally the world’s tiniest stroller. It’s so small you can even put it in your bag. The updated GB Pockit Plus has swivel front wheels that may be locked to make it easier to go through some harder terrain. Keep in mind that the wheels are below 5’’ so this stroller is surely not an all-terrain one. The GB Pockit Plus, even after the remake, remains really small and easy to push with one hand. 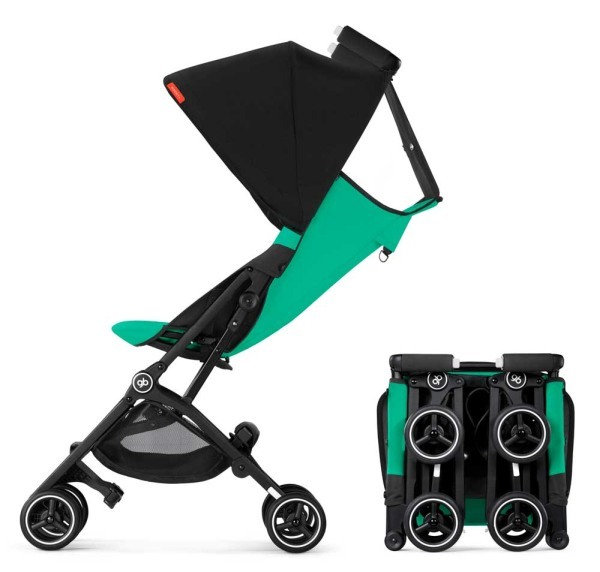 Its maneuverability is outstanding thanks to this, but remember – this is not an all-terrain stroller, and it’s not suitable for offroad trips. Still, if you live in a city, it will be a perfect choice. Same as the previous version, the GB Pockit Plus handles look quite custom. The stroller has two separate ones. It’s not adjustable, but most parents should be just fine with its height. The handles may be a bit too low for really high parents, so make sure to check it out yourself if you’re above 6ft tall. This is something that could still be improved. The GB Pockit Plus has a brake found between the dual rear wheels. It is located on the right side and I have to say the pedal is quite small. That’s just something you have to get used to. I have to admit I had some problems in the beginning, as the pedal is small and a bit hard to press. I wasn’t sure if I’m pushing it properly or not. It’s easier to disengage it, you just need to lift the pedal. It’s fine when you get used to it, but I’m afraid it will be rather hard to operate it while wearing flip-flops. The GB Pockit Plus has a 5-point no-rethread harness. The harness may be easily adjusted as your toddler grows to provide him both safety and comfort. The GB Pockit Plus has a storage bin placed under the seat that may accommodate things weighing no more than 11 lbs. It’s not really big, it will accommodate some items like a few diapers, snacks, drink, but not much more. This isn’t a downside of the GB Pockit Plus, it’s obvious that such a lightweight stroller won’t be a stroller-truck and it’s not meant to be. Even though the storage space is a bit limited, the good thing about it is that it’s very easily accessible. The GB Pockit Plus can accommodate a kid from around 6-months (or day one if you get the Cot To Go) up to 55 lbs – something around 5-year old. It’s really something, considering how small and compact this stroller is. 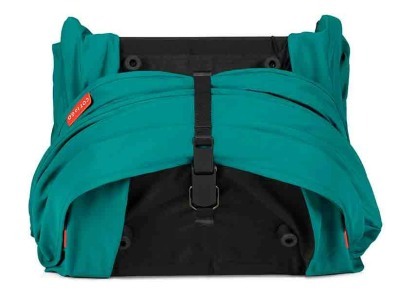 Cot To Go – The new GB Pockit Plus may be used from birth if you decide to get this carrycot. The Cot To Go provides great support for the newborn’s back and a fully flat position. At the same time it gives really good protection from wind and sun. 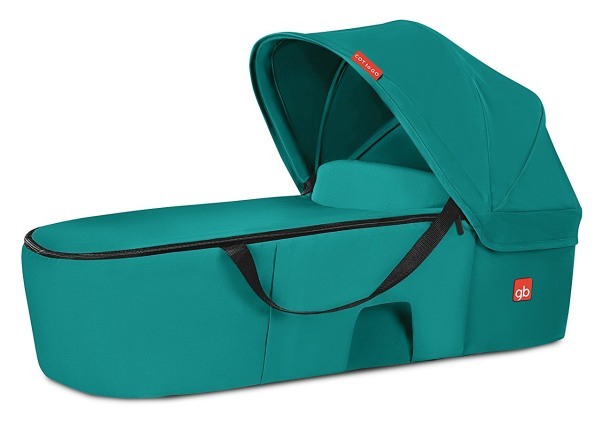 Same as the stroller itself, this carrycot may folded into a tiny package, so you get a perfect stroller for travelling with your baby from day one! 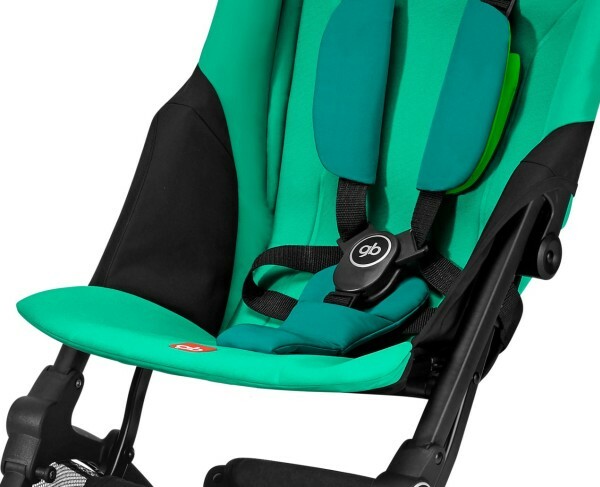 Adapters For Infant Car Seats – The upgraded GB Pockit Plus is now compatible with GB and Cyber baby car seats. These adapters are needed to attach the car seat to the stroller. This is another option to make the GB Pockit Plus suitable to use from birth. GB Pockit Travel Bag – The folded GB Pockit Plus is extremely compact and easy to carry around, but this travel bag makes it even easier! Provides you with more comfort when you carry it on your shoulder. Moms deserve comfort. Footmuff – If you’re up for strolling during winter, this footmuff will protect your kid from cold. As you see, there are so many things that differ the new GB Pockit Plus from its predecessor. Check the table below to see the most important differences and upgrades made to the new model. The first Pockit was indeed a hit. 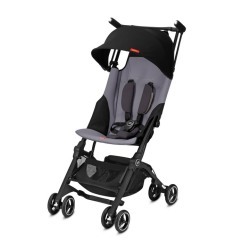 This compact stroller was amazing in some aspects, but at the same time it lacked some really important features. I have to say the manufacturer did a great job with introducing the so-needed improvements. 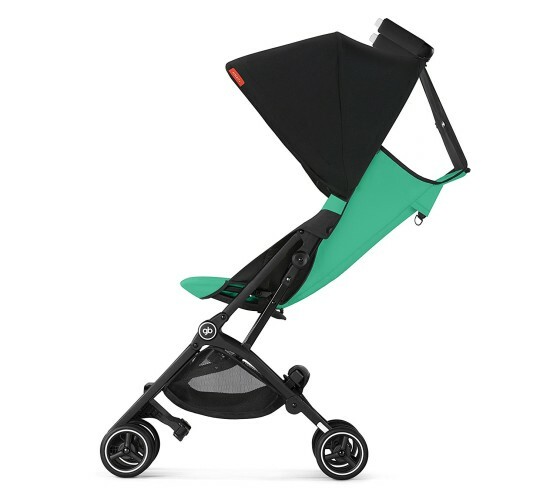 The GB Pockit Plus is still an amazingly small, compact and lightweight stroller, perfect for everyday use, but provides much more comfort thanks to the improved canopy and seat padding. The Cot To Go extends its functionality so it may be used from day one. I just absolutely adore the fact how compact this stroller is when folded, so it’s a perfect travel companion you can easy take anywhere you want (including a plane). 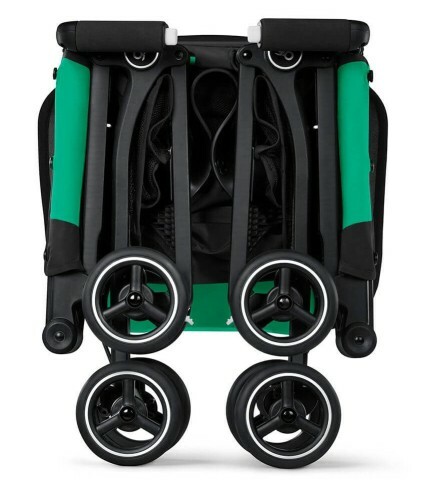 All this leads to a conclusion that the new GB Pockit Plus will be one of the bestsellers among lightweight strollers in 2019. Wondering whether to choose GB Pockit Plus? If you’ve read my review, you certainly have a reference. Check out the opinions of other users of this stroller at Amazon and see current discounts. Was the Pockit+ redesigned between 2018 and 2019? The Amazon listings are confusing, as some are designated “2018” model, and some are not. Hi April! No, it wasn’t. Honestly, I don’t really know what else they can improve there, because it’s already one of the best lightweight strollers in so many aspects.